History and background of Carolina Herrera. Carolina Herrera was born in 1939 and is a native of Venezuela. After many years of being named Best-Dressed in the US she started her own ready-to-wear line in the early 80s and her designs are heralded for their classy and subtle styles. Carolina Herrera was born in 1939 and is a native of Venezuela. After many years of being named Best-Dressed in the US she started her own ready-to-wear line in the early 80s and her designs are heralded for their classy and subtle styles. She injected a fresh, young attitude for the social debs; added a series of short prom dresses and elegant ball gowns, just barely bares midriffs with cropped tanks or bustiers under jackets and coats for day to evening. Launched in 2004 this is another great addition to the collection . Its a very seductive scent with top notes of bergamont and mandarin, middle notes of gardenia and cardamom and base notes of sandalwood and vanilla. Great for evening wear. An exuberant, richly floral, elaborately layered scent . The essence of a woman who is tailored by day, brilliant by night. Evokes the freshness of a moment, the intrigue of a night under the stars; envelops with memorable intensity. When fantasy becomes reality. 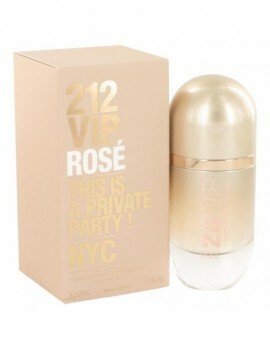 The fragrance is a sensual blend of jasmine, tuberose, sandal, and amber.